I finished writing a pilot. It’s the first sitcom pilot I’ve written. My other scripts have all been either sci fi drama pilots or sitcom spec scripts. For those of you outside the TV writing sphere, a spec script is a script for a show that already exists. It’s sort of weird to talk to writers about writing television shows. Some say it’s easier to write the spec, some say it’s easier to write original material. I don’t really see either as being particularly easier than the other. The hardest thing about writing a spec script (in my personal experience) is writing it for a show that will be relevant in two years. The shows I love (Up All Night, Community, Happy Endings) are all on the brink of death (don’t get me started). Or, they are overwhelming spec’d (everyone’s got their Modern Family script). So, with this sitcom pilot out of the way, I find myself ready for a new project. More than ready. Chomping at the bit. Since most of my experience is novel writing, that isn’t always the case. What normally happens is I start querying agents, then I sit around and wait for my rejection letters. But, that’s not really what happens in the screenwriting world. I mean, I could query agents, but that’s not the norm. The norm is you make friends. Your friends introduce you to producers and agents or friends of producers and agents. Most people (though not all) sell something before they get an agent. So, basically, the answer is, save the file and move on. When you meet someone who can do something with it, whip it out. It’s a body of work. The next thing, though. It’s a sci fi drama. And it’s gonna be huge. 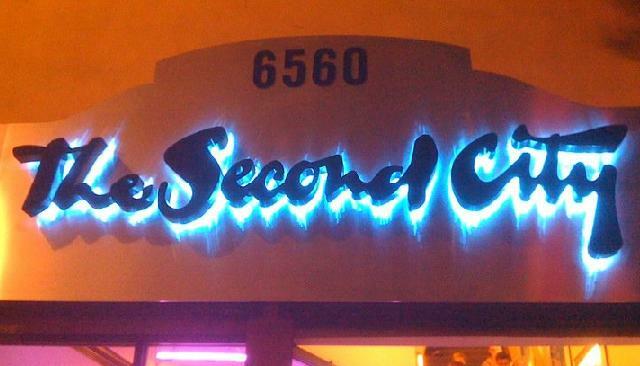 The pilot I completed was part of the Completing and Presenting Your Sitcom Pilot class at Second City. There will be an onstage reading of it on April 17th at 6:30pm at Second City Hollywood (there will be two shows read on that night). What if JK Rowling got writer’s block after Harry Potter 4? When Arthur Watkins, the main character from a wildly popular young adult series, appears to his author, M.L. Reeves, she has to figure out how to deal with her errant work of fiction while deadlines loom.